Theresa D’Angelo Bradford and her husband returned from a trip to Washington, DC, Tuesday, March 13. This was no average trip to our nation’s capitol. It was a journey to preserve a box of letters her father, a Navy officer from Alexandria, used to convince a girl back home to write to him when he returned to sea. After retiring from the Navy, Tony D’Angelo returned to Alexandria and was director of public works for the city, manager of the Rapides Parish Coliseum and ran for mayor in the 1980s. He died in 2012 at the age of 94. Agnes Maggio D’Angelo died last May at the age of 90. For up to 70 years, she kept Tony’s letters to her stored in a shoebox stored in a closet. “During the meeting we talked at length about the letters, how I found them, how they looked and how we decided to make them in to a book,” Bradford said. “In the book foreward my husband explains that we felt perhaps we were looking in to something that didn’t belong to us or was to personal. But this wasn’t the case. It was indeed a story waiting to be told. The letters were numbered with a teeny pencil mark on the back of each one. As if they were just waiting to be found.” “At first, we didn’t know what we were going to do with them,” she said. “I thought, ‘Well I don’t want to just take them and put them in the top of my closet.’ Then I thought about the military aspect of the letters because my father wrote them while he was in the military, so I contacted the Library of Congress.” The couple’s correspondence started after Tony visited home, sometime in late 1946. The letters include references to Northwestern State University where Agnes was attending college. Tony described ports he was at around the world. At one point, he brings up meeting Philip Mountbatten, then recently engaged to Princess Elizabeth, when the prince was an officer in the British Navy. “That’s our connection to the royal family,” Bradford laughs. “It was ‘grief therapy’ for me. It seemed as if I was supposed to organize all this for my mother and “wrap things up” and tell this delightfully sweet story. Because that’s what she was…….sweet and pure joy to all who knew her, her entire life.” Bradford did a word count when she finished typing all 81 letters. Her father used the word “sweet” 157 times to describe her mother. It was a word that came first to everyone’s mind anytime they would be asked to describe Agnes. 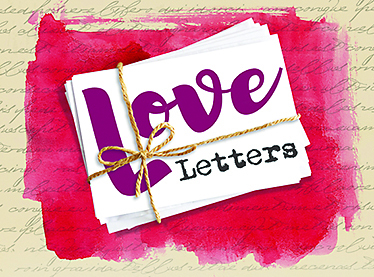 “As the children in the family, the letters gave us a peek into earliest years of our parent’s love story. To others it gave a glimpse of life in the USA in postwar USA, life aboard ship in the military, the cost of living, the movies, the music, the sports and the news of that time period,” Bradford said. The D’Angelo children, Stephen D’Angelo, Theresa Bradford, Anthony D’Angelo Jr., John D’Angelo, Patricia Krig and Michael D’Angelo compiled the letters and some pictures of their parents in a self-published book for family and friends. Family will still be able to see Tony’s original letters by visiting the Library of Congress.